My name is Tia Accetta. I live in Tucson, AZ with my husband and 2 children. 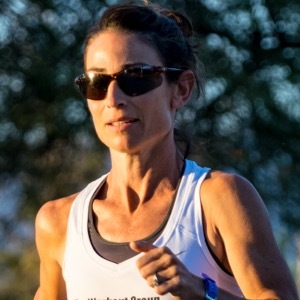 My husband, Randy, and I co-operate our running event business, Run Tucson, and coach a competitive group of runners, The Workout Group. The Workout Group is a diverse group of runners from age 18 to 70, who are all willing to challenge their limits and tap into their competitive spirits. I recently started working with individual clients. I have worked with several runners to create long term plans for meeting Boston qualifying standards (BQ's) as well as Olympic marathon trials qualifying standards (OTQ's). Personally, I've been running competitively for 20 years and studying/coaching the sport for 10 years. I have an RRCA coaching certification (level 1) and am beginning level 2 course work this month. I studied with Nobby and Lorraine at the Arthur Lydiard Foundation and use many of the Lydiard training principles in my coaching practice. I accept athletes who are willing to set challenging running goals and commit to the process of reaching them. Success. Coach Tia Accetta has been notified of your message.